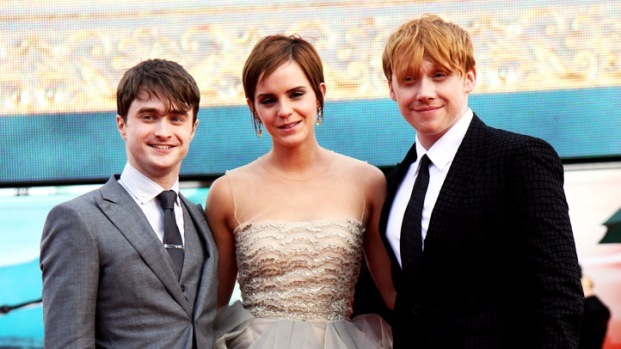 Daniel Radcliffe said everyone is "really, really, sad" as filming wraps on the final installment of "Harry Potter." "Harry Potter" star Daniel Radcliffe said he's been overcome with sadness by the realization that it’s time to hang up his wand for good. “Everyone was really devastated," Radcliffe told The Associated Press of the scene on set when cameras stopped rolling for “Harry Potter and the Deathly Hallows,” the last installment in the blockbuster series. For the past ten years, Harry Potter fans around the world have watched both their favorite boy wizard and the London-born actor grow up right before their eyes. Radcliffe made a combined $320,000 for the first two "Harry Potter" films but has since joined the $25 million dollar paycheck circle for playing the smart-eyed fantasy wizard. The final adaptation of J.K. Rowling’s popular novels has been divided into two movies, with the first to hit theaters this November. Radcliffe, who performed on Broadway in a revival of "Equus" in 2008 and presented Sunday at the 64th Annual Tony Awards, is set to trade in his wizard robe for another role on the Great White Way. He's scheduled to appear opposite Rose Hemingway in the revival of the Broadway musical How to Succeed in Business Without Really Trying. In the meantime, Potter fans can relish the opening of the theme park, the “Wizarding World of Harry Potter,” at Universal Orlando, scheduled to open June 18.